SPACE FOR YOUR PHONE NUMBER - use the text box. Check out EN32204 that changes 'OFFICE' to something else as well as the phone number. EN32210 allows you to insert your own instructions. Farm biosecurity refers to a set of management practices and activities designed to prevent, minimise and control the introduction and spread of plant pests onto a property. These pests may be exotic to Australia, may be established in limited areas, or may be widely distributed and can spread from farm to farm. Add you phone number in the text box. We can produce any text you desire for your own signs. 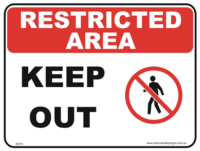 Contact us for any more information for your signage requirements. Type in farm in the search bar for a small selection of signs you may be interested in. 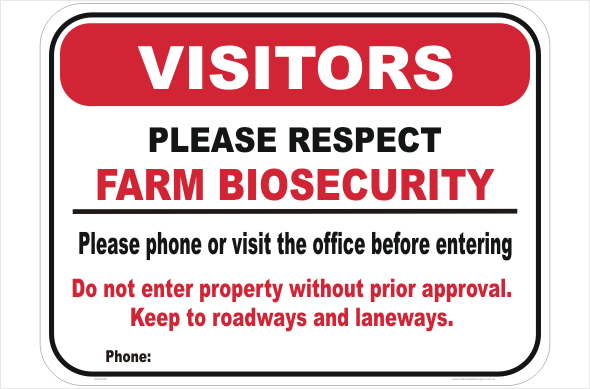 This Farm Biosecurity Sign is top quality and made for indoor and outdoor conditions. 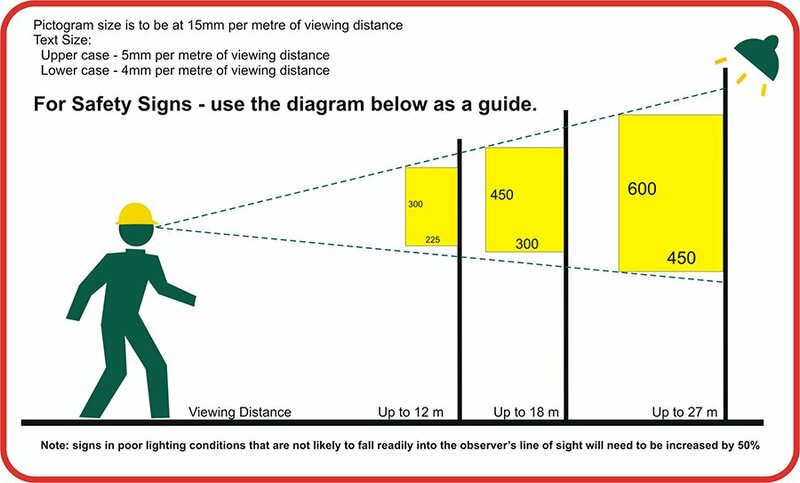 It is designed to warn people that intend to enter the farm of the dangers of contamination of dieases etc. they may bring in. This particular sign has a spot for your selected phone number, which you can type in the additional comments box. 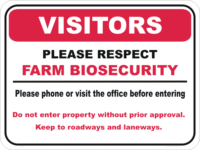 This Farm Biosecurity Sign is available up the 900 x 600mm size. We would recommend selecting class 2 reflective for these.